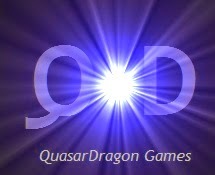 QuasarDragon: We Wants It My Precious! We Wants All the Free Fiction! We Wants It My Precious! We Wants All the Free Fiction! • At Buzzy Mag: "Shattered" by Davyne DeSye. Fantasy. "Come in, come in, and welcome! See something you like? Looking for anything in particular? Oh, no problem, no problem. Just look, and let me know if I can help with anything." • At Daily Science Fiction: "The Titanium Geisha" by Elias Barton. Science Fiction. "Cannery Beach is where it all started. While my brothers and sisters abandoned it years ago for prestigious careers in New York and Los Angeles, I was always drawn back, drawn back, drawn back to the place where robots love to tread. I enjoyed seeing the different models released each season: the utilitarian, the intelligentsia, and the Semiprecious Sensuals as Dad called them." • At HiLobrow: "The Man with Six Senses - 11" by Muriel Jaeger. Science Fiction. 1927. "Michael’s methods also nonplussed the Stunt correspondent. He had expected the usual paraphernalia of spiritualism — a séance, crystal-gazing, planchette — that kind of thing. These would have provided him with material for picturesque description." • At Mad Scientist Journal: "Dr. Derosa’s Resurrection: Part III" by R.G. Summers. Science Fiction. "After my phone call with Mr. Charlie, I went directly to the salon down the street. He had told me that he would send a plane immediately and that I only needed to be at the Renton Municipal Airport by ten-thirty that night. I took pictures of my mother to the salon so that the hairstylist would know exactly how to cut my hair. It was more eerie than melancholy to watch her hack off my hair." At Farther Stars Than These: "We've Got A Live One" by Madeline Dyer. Science Fiction. At Farther Stars Than These: "The Bank Teller" by Jerry Guarino. Science Fiction. At 365 Tomorrows: "Solid State" by Jae Miles. Science Fiction. • At LibriVox: Uncle Wiggily's Travels by Howard R. Garis. Children's Animal Fantasy. "This is the second of 79 Uncle Wiggily books published and contains another selection of bedtime stories from those originally published in the Newark Evening News every day except Saturday for over 40 years. Uncle Wiggily Longears is a loveable rabbit who suffers from rheumatism and has many woodland friends and innocent adventures." • At Tales to Terrify: "No. 89" Horror. Dark Fantasy. “And the Coyotes Sang” by S. A. Hunter, narrated by Antoinette Bergin and “Grandmother’s Road Trip” by Cat Rambo. - "The sound of the car wheels whispering along the road meshes with Grandmother’s snores and the faint noise of my mother’s humming as she drives. She prefers not to have the radio on during long trips." - text here. Audio at The Classic Tales Podcast: "The Moonlit Road" by Ambrose Bierce. Audio at WMG Publishing: "Name-Calling" by Kristine Grayson. Romance. Flash Fiction at Every Day Fiction: "Internet Angling" by Anne Jarvis. Flash Fiction at Linguistic Erosion: "The Stranger on the Train"
Poem at Leaves of Ink: "A Graveyard in Pennsylvania"
Poem at Smashed Cat Magazine: "Habit rip (Abel Ferrara mix)" by Steve Isaak.